California Gov. 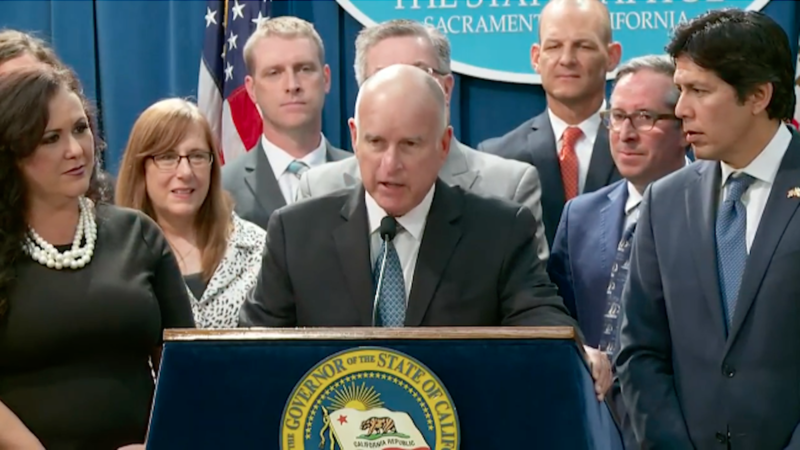 Jerry Brown signed the landmark Senate Bill 100 (SB 100), setting the Golden State on a path to generate 100 percent of its electricity from renewable and zero-carbon sources such as solar and wind by 2045. Environment California, a part of our national network, played a key role in driving the bill through both houses of the state Legislature, and to the governor’s desk. Our national network is working to pass similar legislation in cities and communities across the country. The generous support of our members makes this ongoing work possible.